Box Text: Get ready for racing action like you've never experienced it. Because Al Unser, Jr.'s Turbo Racing is so much more than just a game you drive. It's a game you design, a game where everything - from the pit crew to the power boost, from the suspension to the speed, right down to the color of the racing machine itself - is in your control. An entire racing season on the world's 16 toughest tracks lies ahead. Each demands its own strategy; Al Jr. will give you advice before every race. In the pursuit of the season's championship, you can set up and modify your own car, or climb behind the wheel of Little Al's maxxed-out machine. Great graphics. Astounding action. 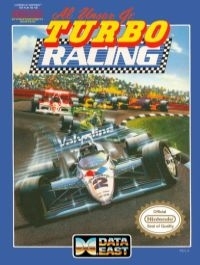 If you're into racing, Al Unser Jr.'s Turbo Racing puts you into it like no other game around. 08-13-2016 edomaden Box Text Get ready for racing action like you've never experienced it. Because Al Unser, Jr.'s Turbo Racing is so much more than just a game you drive. It's a game you design, a game where everything - from the pit crew to the power boost, from the suspension to the speed, right down to the color of the racing machine itself - is in your control. An entire racing season on the world's 16 toughest tracks lies ahead. Each demands its own strategy; Al Jr. will give you advice before every race. In the pursuit of the season's championship, you can set up and modify your own car, or climb behind the wheel of Little Al's maxxed-out machine. Great graphics. Astounding action. 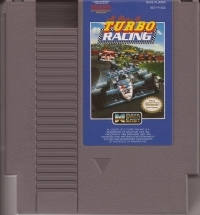 If you're into racing, Al Unser Jr.'s Turbo Racing puts you into it like no other game around. This is a list of VGCollect users who have Al Unser Jr. Turbo Racing in their Collection. This is a list of VGCollect users who have Al Unser Jr. Turbo Racing in their Sell List. This is a list of VGCollect users who have Al Unser Jr. Turbo Racing in their Wish List.